Treat your feet with the No Show w/ Stripe socks from ECCO®. 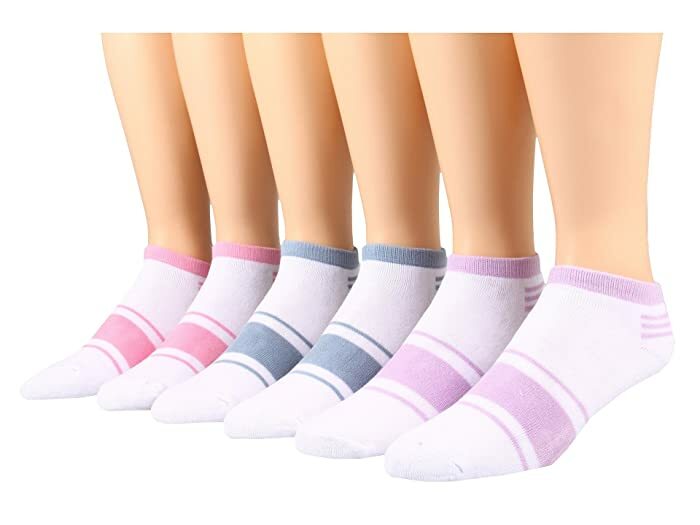 Elastic neck ensures the sock stays up for comfortable wear. Cushioning at the toes, arch and heel deliver additional comfort. Pack of six: Black/White (4), Grey/White (2). Materials: 85% cotton, 10% nylon, 5% spandex.